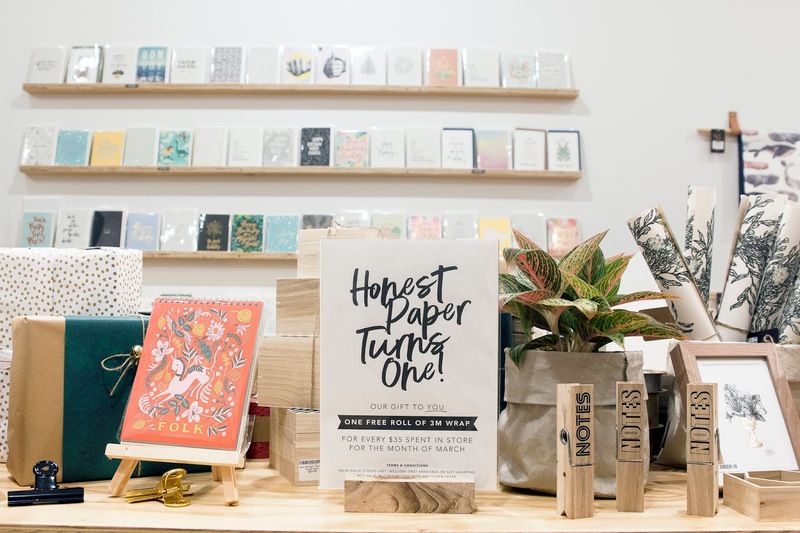 If you've ever walked into the Junction Fair in Newcastle, you may have noticed the Honest Paper shop. 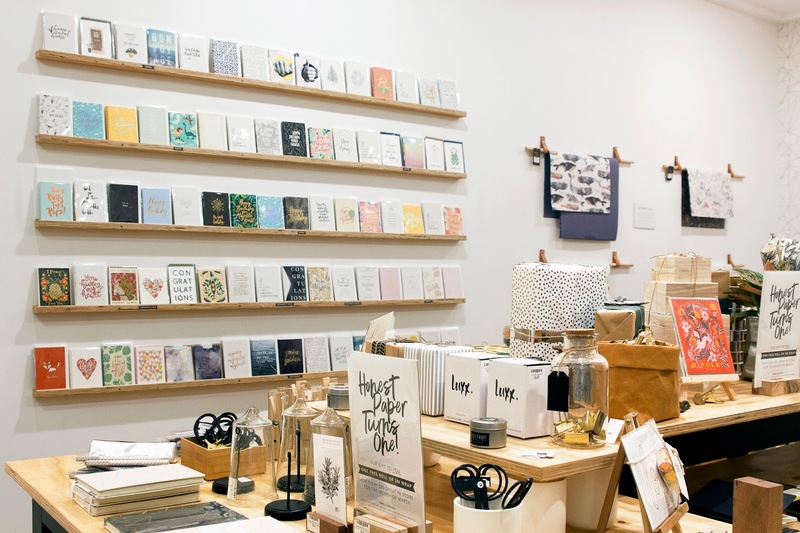 A magical looking store full of beautiful pieces of stationary and paper goods that will give you the overwhelming urge to want to take up arts and crafts. 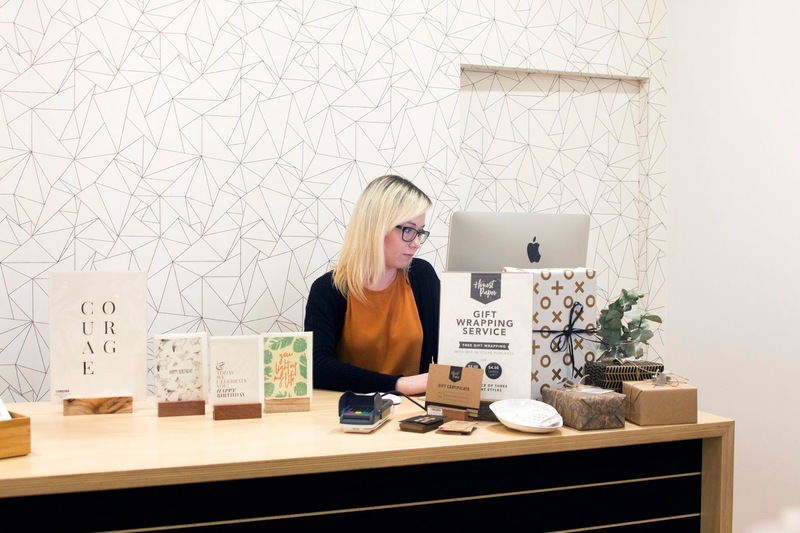 The two wonderful ladies behind this darling boutique are Gabi Graham and Bella Cauchi, who turned their love for all things paper and pretty into their dream career. 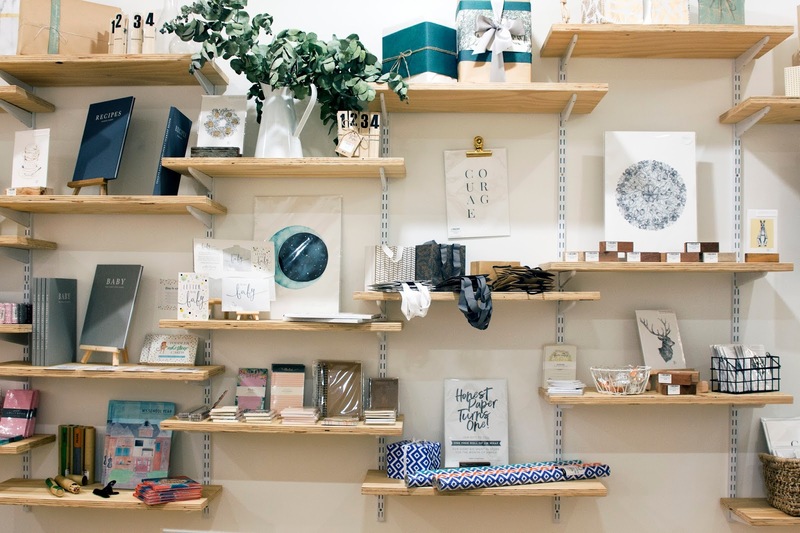 As well as stocking and creating their own cards, papers and tags with their brand 'Blessing & Honour', the store also stocks so many other wonderful creations from some beautiful Australian brands and artists including, Fox & Fallow, Inky Co, Write To Me, Apothecary Artists, Lauren Merrick and more! With Bella currently away on maternity leave as a first time mum (big congratulations! ), I had a chat with Gabi about their paper wonderland. 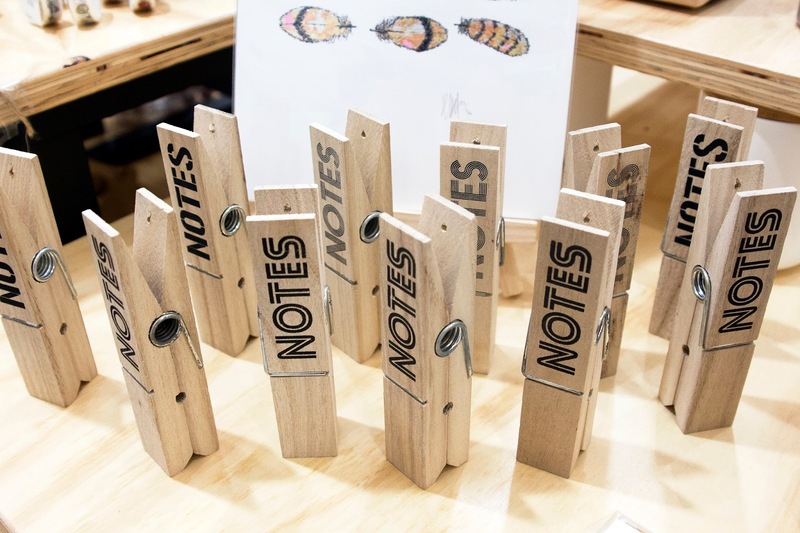 For those who might not know, tell us what Honest Paper is all about?/ How did the idea for Honest Paper come about? 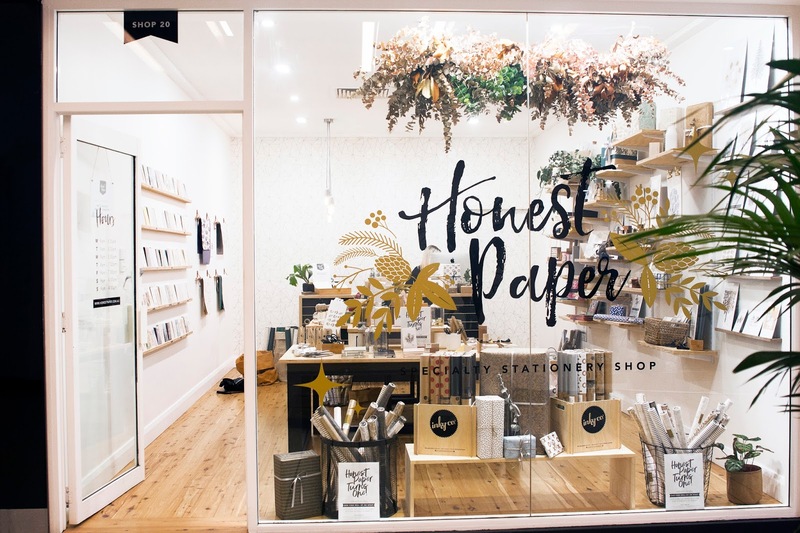 Honest Paper is a ‘one-of-it’s-kind’ specialty stationery shop, located in the Junction Fair, Newcastle. 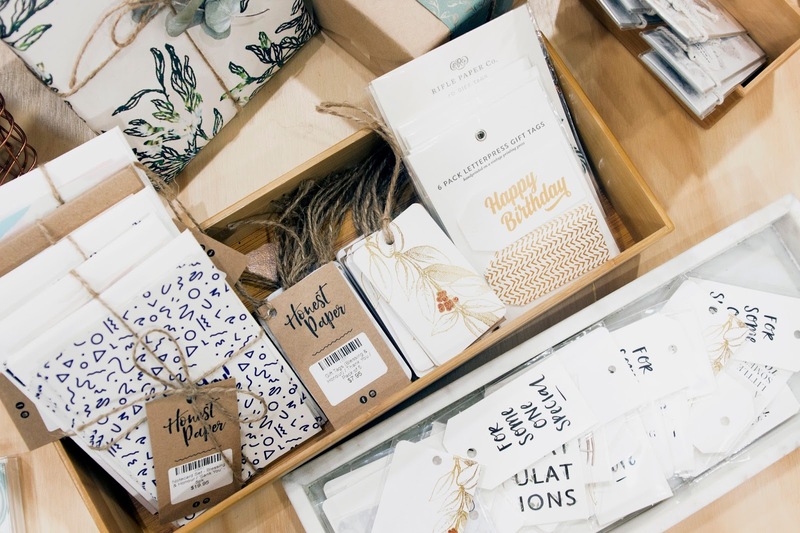 We stock a curated range of paper goods, from gift wrap and greeting cards through to art and journals (and everything ‘paper’ in between). Both Bella & I have always had a personal affection for things paper and stationery, but the dream began with a literal day dream. One day sitting at my desk job that, of my current job, what I truly loved was creating 'printed pieces'. 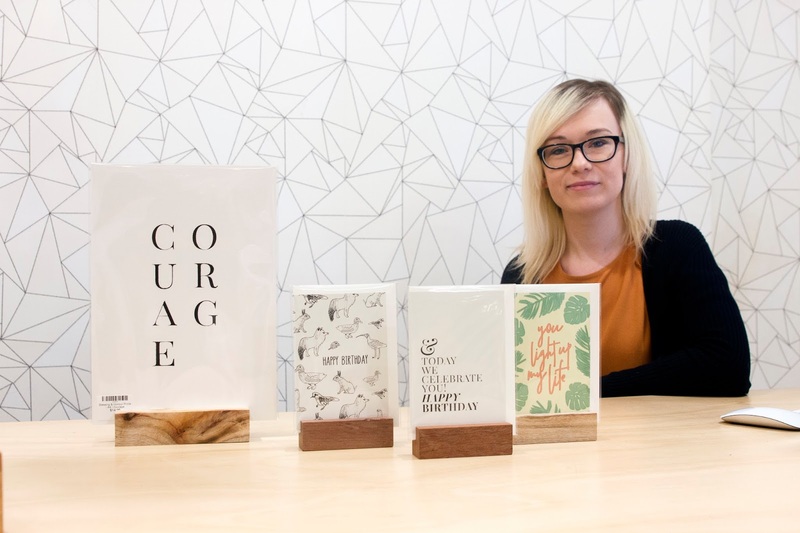 From there the mind began to run wild; what about creating not printed material that ‘sells' products but what about printed cards that actually inspired courage, thanks and kindness? So, I texted Bella, and in true Bella style she said ‘Why not? Lets do it!’. What are your backgrounds? 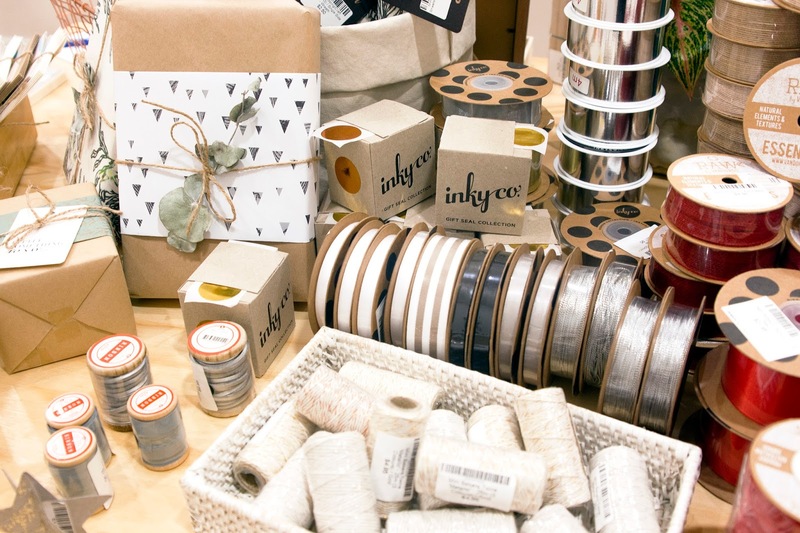 What made you want to get into stationary? Both Bella & I have 'done our time' in the corporate world, working nine-to-five desk jobs, all the while in the background pursuing graphic design as our (much needed) creative outlets. 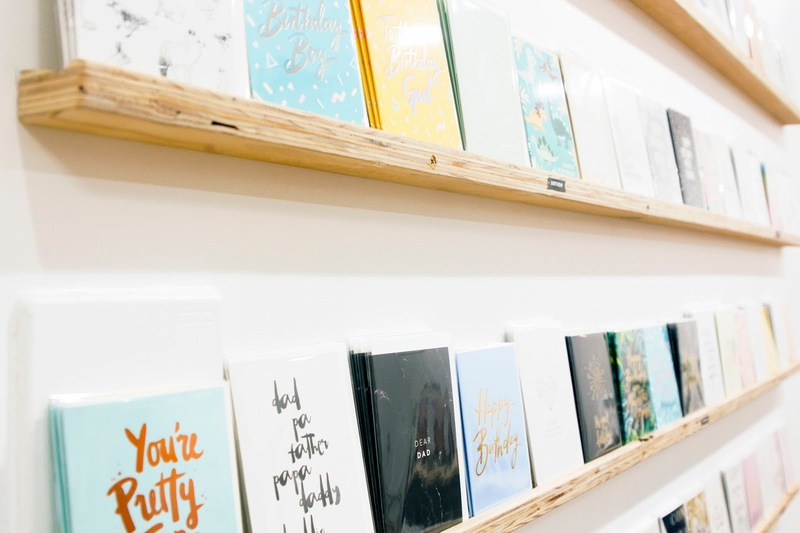 It was Christmas of 2014 when the paper dream began with us launching our own stationery label ‘Blessing & Honour’. What started basically overnight as a ‘holiday project’ saw both of us, along with our ‘handy husbands', wrangling together a stall and piecing together a handful of unique Christmas greeting card designs. During the Christmas markets we had such an overwhelming response to our designs, saying that they were unique and refreshingly sincere, that we decided to continue throughout the year and see where it would take us. 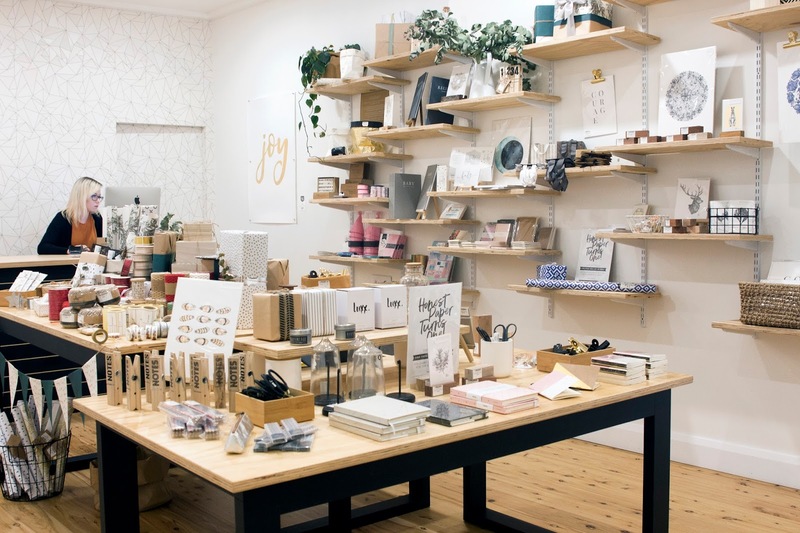 In late 2015 we had the opportunity to open a seven days a week, bricks and mortar shop - the absolute dream! What inspires you when putting together your own work and when picking pieces for the shop? Our designs have been born out of our personal belief in the significance of words & the art of encouragement. In this day and age there is a thousand ways you can say something, like happy birthday for example. 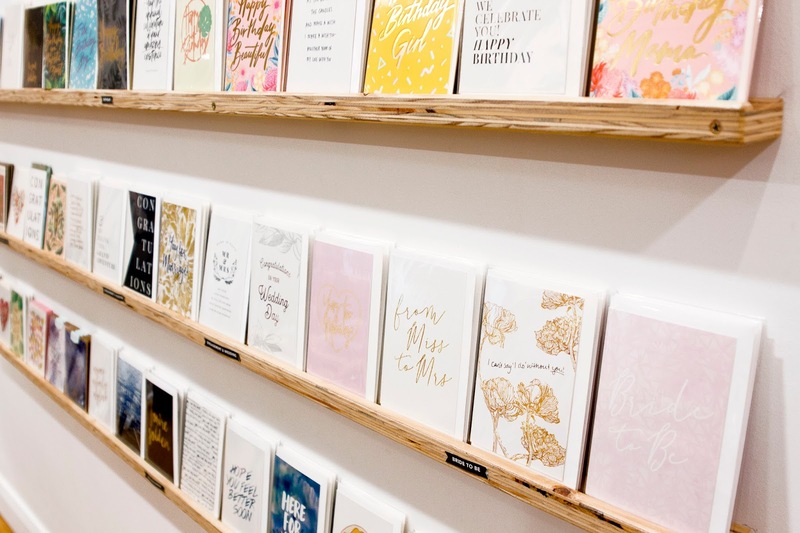 You could text it, Facebook, say it in person etc, or you could write a card! 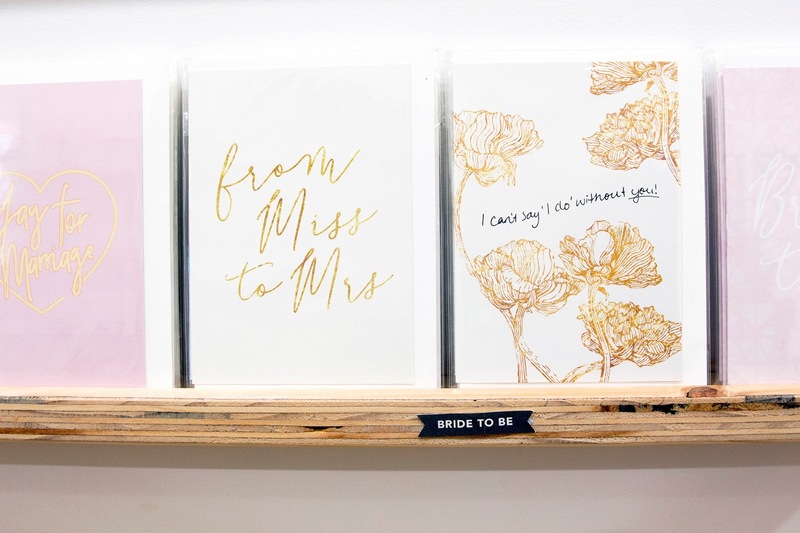 We believe there’s something different about writing a card. Putting pen to paper makes you stop and think for a moment, dig a little deeper and when you let it, writing brings out the sincere, honest heart in us all. Tell us about the space where you do most of your work? Is there anything in this space which helps give you inspiration or motivation? The shop front currently doubles as our ‘creative studio', which naturally makes for a very creative space. One thing both Bella & I value in our shop & home space is art & simplicity. Surrounding yourself with something that exists for the sake of beauty you cannot help but be inspired & spurred in creativity. Simplicity comes from natural light and open clean spaces which makes for a clear mind, the perfect canvas for something fresh. Also, living plants and having greenery everywhere; natures art! How would you define creativity? Do you think creativity is something all of us are born with or is it something we learn? Creativity is something we all are capable of, it comes down to whether we choose to rise in ourselves, to seek something new and 'be a creator' - the ones that aren't content 'following trend’. It’s interesting though, I think the ‘creative type’ in itself is a trend now (laughs). I think there’s a definite difference between being ‘inspired' by another's move of creativity and ‘copying' it. The design world is always shifting and changing, and for us it’s about having the courage to see above and over the current trends and get in first, and create something fresh. Real adventure! Sometimes creativity comes easy, there’s a need for a design and it seems to almost create itself! Other times, not so much. When the creative wave is hard to catch I find going someplace new, somewhere I’ve never been before, puts a whole new spin on things and refreshes my mind. Social media is a powerful tool of connection and creativity, and for the most part I love it! But you know what they say, ‘with great power comes great responsibility’. As a designer I find that switching off to the 'content storm' of social media for even a few hours can refresh the mind enough to see something new. If you had to start over, do you think you would have chosen a different career path or done Honest Paper differently? Nope! Both Bella & I are known in our circles for 'biting off more than we can chew’. Some would say that’s a not so good trait, but honestly thats the season we’re both in and we love it. 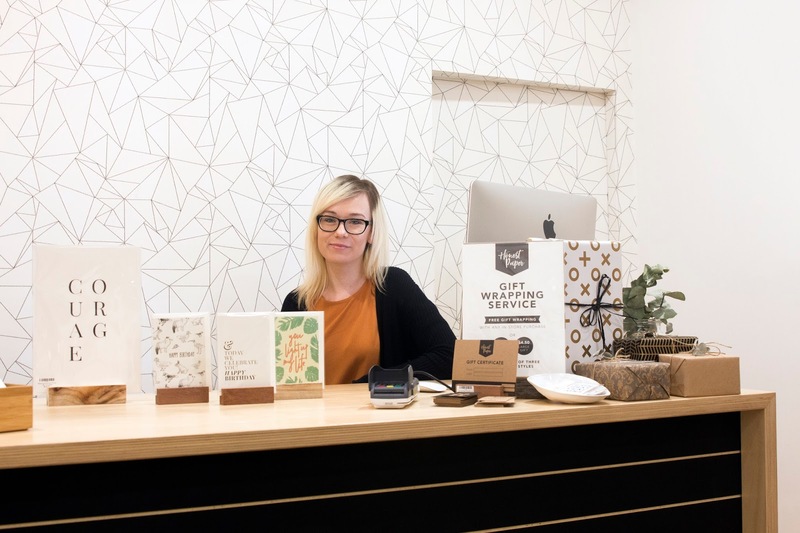 Last year I got married and Bella welcomed her first little one into the world, AND we opened a shop! Yes, some days should be slow & simple (and we absolutely make room for those days within the beautiful chaos) but for the most part we would rather say, 'we had a dream and had the courage to bring it to life', rather than to say we had a dream and chose the simple life instead. The joy we’ve found in taking courage to do what we love rather than to settle has far out weighed the difficulties and trials. Our creative process is different to many other brands in that each piece we create is a collaboration of both Bella & I, and working with two creative minds can be challenging, you know the type. For Bella & I, we have worked closely together on the marketing for big events, albums releases, big and small business, etc, for years, before ‘Blessing & Honour’ began. Creating together, we constantly have what we call these ‘peanut butter and jelly’ moments, where one of us begins a design and then the other see’s something totally perfect that completes it far better than either of us originally saw possible, just like a peanut butter and jelly sandwich. Working as a partnership comes with it’s challenges too, there are moments when you have to choose to lay down your own stubbornness and be willing to see from two sides, play to your strengths and just be honest with each other. 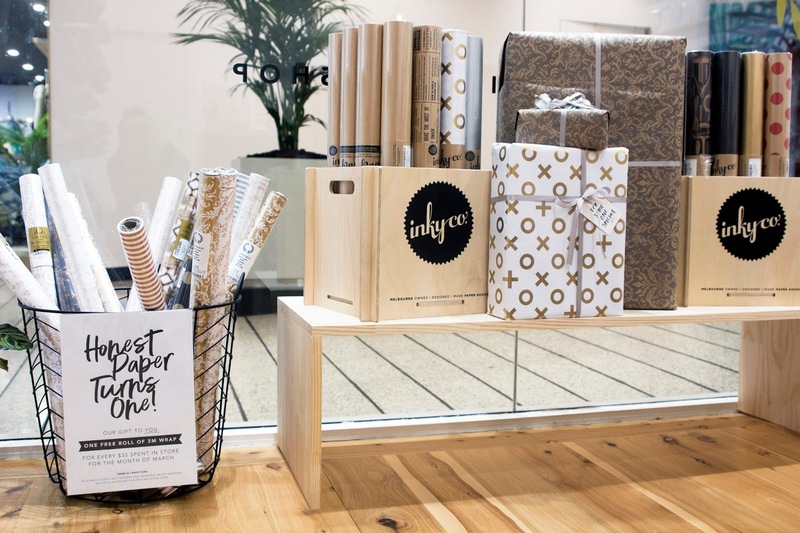 It simply amazes us the community of fellow stationery lovers that frequent our store week after week, returning again for more Honest Paper! Our biggest accomplishment so far is 2016, the year we mustered up the courage to open a bricks & mortar store, took the leap into small business and left behind the safety of ‘employment'. Coincidently, 2016 is also the year I married my love Ben, and Bella & Michael welcomed their first child into the world. 'Business wise' 2016 was huge for us - the foundational year, and ‘life wise’- big and beautiful. Not to mention in March of this year we celebrated our first birthday! Any future plans for Honest Paper? The future is bright! Our Flagship store in the Junction is home and there is possibilities of expansion on the horizon! Newcastle is a greenhouse of creativity that lives & breathes small business, and while we would never put a lid on the future possibilities that may arise, Newcastle is home for us and our Honest Paper.